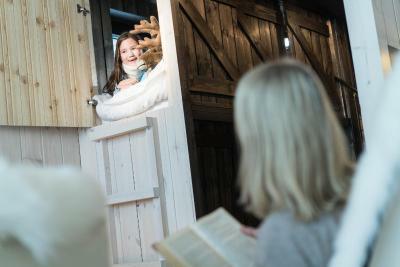 Lock in a great price for Arctic TreeHouse Hotel – rated 8.9 by recent guests! Design Concept of the hotel is amazing. Sustainability vision can be thoroughly lived and engagement with nature is incredible. Very lean, very simple, very comfortable. I enjoyed and wished to stay couple of more days. The location, friendly & helpful staff (especially Polyanna), including the restaurant servers. A memorable experience! The room is comfortable and warm, even the extra bed is cosy and soft. 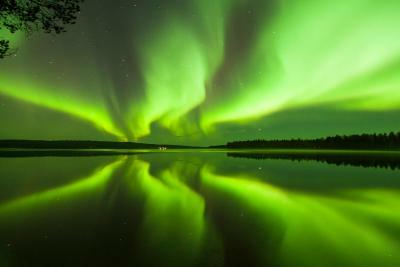 It was a pity that we didn't see the Aurora because of the cloudy weather. However, spending a night in really was a memorable experience in our lives. from the beginning to seeing rooms everything was perfect. Room is very cosy and romantic. stuff is vey kind and helpful. The rooms are amazing and the view is unreal! It’s within 10 minutes of pretty much everything we wanted to do as well, which was very convenient! the staff was very helpful and very polite , the food was great ! they came to help when i needed them , the restaurant was so very great !! and Santa village is so near for extra fun. The food was amazing! Dinner - braised reindeer - chocolate torte- breakfast - croissants so light, eggs so fluffy, bacon crisp yet delicate - melt in mouth. Wait staff were very courteous and helpful without being intrusive. Breakfast is great. Staff are nice people. The snow was amazing and the sledging area brilliant for the kids. 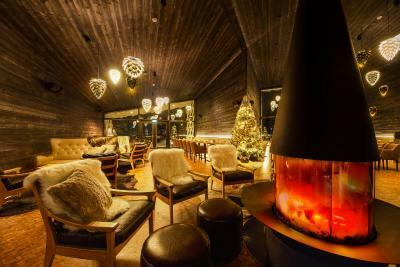 Arctic TreeHouse Hotel This rating is a reflection of how the property compares to the industry standard when it comes to price, facilities and services available. It's based on a self-evaluation by the property. Use this rating to help choose your stay! 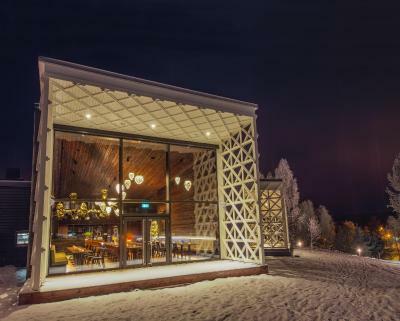 Located on site of SantaPark, Arctic TreeHouse Hotel offers accommodations in Rovaniemi. 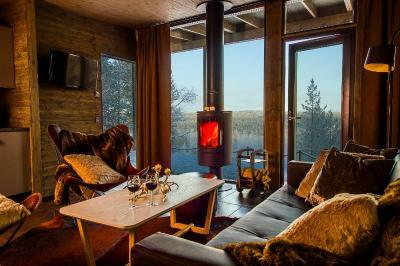 Offering suites, guests can enjoy views of the surrounding forest and even the Northern Lights if lucky. Free private parking and free WiFi are available on site. 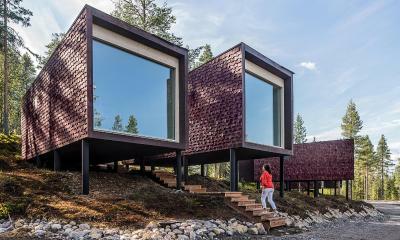 Decorated with Nordic design, the rooms have a flat-screen TV, tea/coffee facilities and a mini-bar. The rooms come with a private bathroom equipped with a shower. For your comfort, you will find free toiletries and a hairdryer. There is a 24-hour front desk, concierge service and gift shop at the property. Guests can enjoy a meal at the restaurant or a drink at the bar. Ask the staff for more information on arranging husky safaris, reindeer farm tours, Finnish sauna and visits to SantaPark. You can engage in various activities, such as skiing, cycling and hiking. 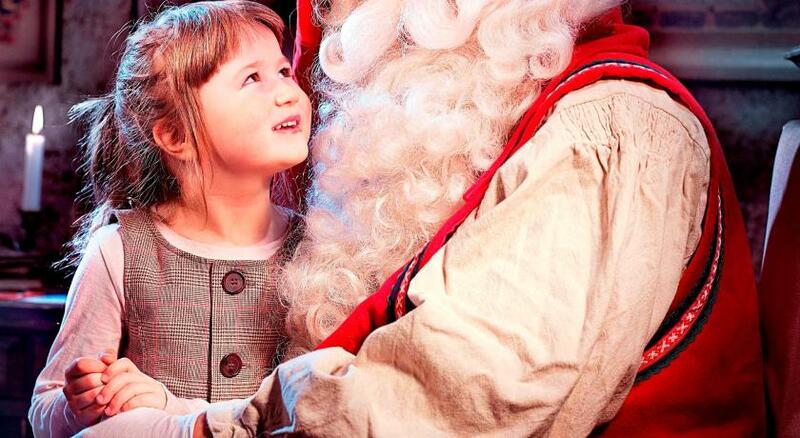 Santa Claus Village - Main Post Office is 1.2 mi from Arctic TreeHouse Hotel, while central Rovaniemi is 3.5 mi from the property. 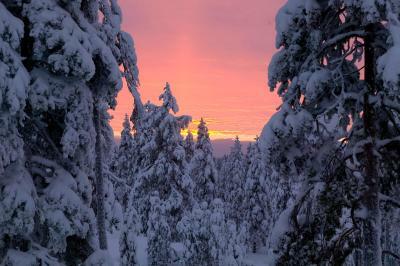 The nearest airport is Rovaniemi Airport, 2.1 mi from the property. 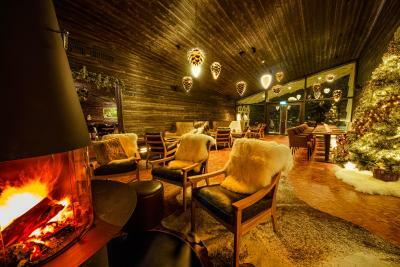 When would you like to stay at Arctic TreeHouse Hotel? This double room with large windows features a mini-bar, soundproofing and seating area. Guests can enjoy the flat-screen TV. The private bathroom has a shower. 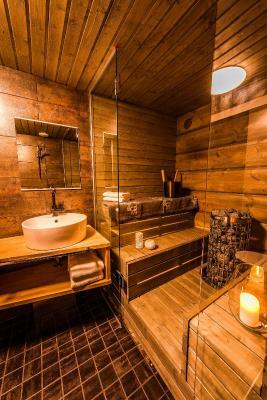 This chalet has air conditioning, sauna and tile/marble floor. This twin room features a mini-bar, soundproofing and seating area. Guests can enjoy the flat-screen TV. The private bathroom has a shower. 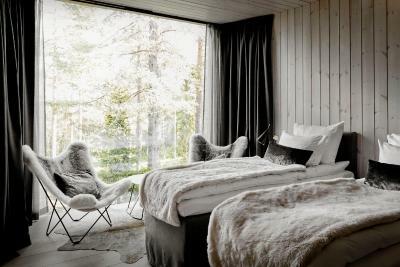 Luxury with an Arctic view and feel - Welcome to the luxury comfort of the Arctic TreeHouse Hotel. 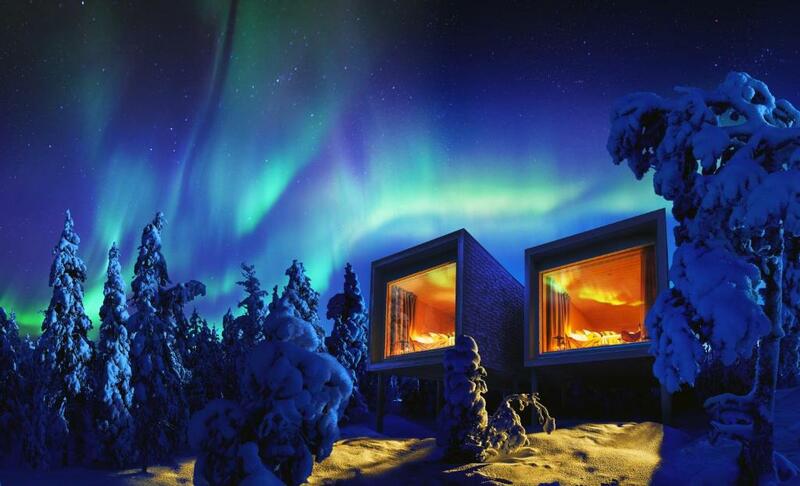 Experience the Arctic Circle and the beauty of the Northern Lights in a nest like atmosphere of our thoughtfully designed Arctic TreeHouse suites and Arctic Glass Houses. We are delighted to help you with a wide selection of activities from the doorstep. Reception, lobby and fine bistro style restaurant locates in a separate building. Welcome to the unforgettable stay with us. 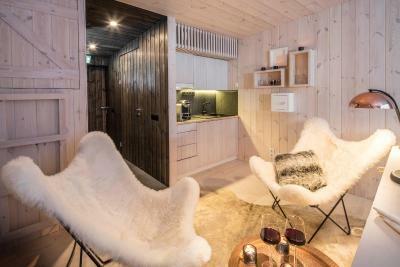 House Rules Arctic TreeHouse Hotel takes special requests – add in the next step! Arctic TreeHouse Hotel accepts these cards and reserves the right to temporarily hold an amount prior to arrival. Credit card details are only needed to guarantee the booking. After booking, the property will send a payment link and instructions on how to proceed with the payment. 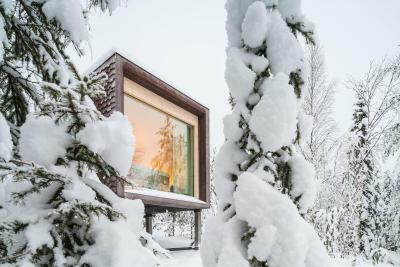 Please inform Arctic TreeHouse Hotel of your expected arrival time in advance. You can use the Special Requests box when booking, or contact the property directly using the contact details in your confirmation. liked the rooms, location, staff. Bathroom design is not very convenient. The luxe interiors and the views from the room. Everything was to like here. The room was beautiful and we had the most amazing snow fall as we got there. Everything you would require was in the room. The staff were extremely friendly & helpful. 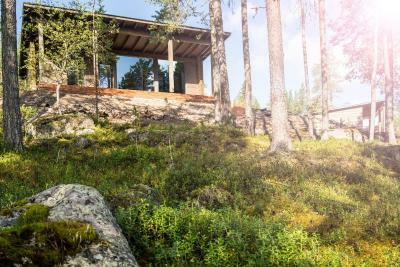 We would love to stay over again when visiting Finland. The total experience was outstanding, each staff member gave us the full attention we needed. The only 3 minor issues I could mention are: 1. Water in the rooms could be a bit hotter. I understand this is to lessen the ecological footprint of the hotel but after a day outside in -10 degrees all you want is to come back and take a really hot shower. 2. The food at the Rakas restaurant is without any doubt delicious and beautifully plated, however it is expensive for the amount you get. You should be prepared to stay hungry. 3. The hotel offers to pick you up from the airport for an incredible 50 Euro! Instead take a taxi service outside of the airport and it will only cost you 15 Euro and it's a 5 minute drive. Save your money. Location, Rooms, Staff, Service, Food = You cannot find anything better. It surpassed our expectations by far and it turned into one of the most memorable vacations we've ever had. It's true that it's a bit pricey but it is worth every penny. Greatest location in the woods. Cottages were so well designed with everything you could ask for at your disposal and still very simple which was perfect for this type of accommodation. Minor issues: - Some facilities are missing e.g. gym, cosy lobby - Heating system in the room: poor functionality (does not work properly, when putting to 24 degrees it is clear that its not 24 degrees) - Food quality rather weak. Ordered room service (club sandwich - the bread was not grilled) Generally the food quality needs to be improved. Over all the stay was very positive. Great location and the concept of little huts. 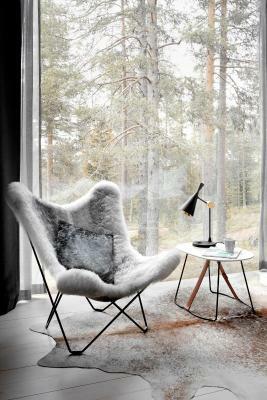 Gorgeous, comfortable, beautifully designed and cosy place to stay - and to experience the arctic landscape!